Program 1: New Year. Program 1 will center around traditions of the Afghan new year (Nowruz) and the women’s personal stories of home. Program 2: Change and Permanence. Program 2 will focus on the ways Afghans mark life changes (birth, death, coming of age, marriage) as well as Ramadan traditions, again told through the women’s stories. Audiences are limited to 50 per night. Tickets are free, but a $20 donation is suggested. Seventy-five percent of the proceeds will go to the women of the Pittsburgh Afghan community to support their efforts to develop a food-based business. THE DATE OF YOUR REQUEST AND THE NUMBER OF TICKETS. RealTime is committed to making our events welcoming and comfortable for everyone. All sites are wheelchair-accessible. Please contact us to let us know what accommodations we can make to ensure your experience is positive. Commissioned by the Office of Public Art as part of their Artists in Residence program* and supported by Pittsburgh’s refugee resettlement community and many other partners, Khūrākī (meaning “eat” or “meal” in the Afghan language Dari) will celebrate the beauty of Afghan culture, music, and food through “theatrical portraits” of five strong women who will forever be Afghan but have recently become Pittsburghers as well. What do they miss about their homeland? What have they been able to preserve in the flight from home–in their traditions, in their cooking, in their hearts? What do they hope to cultivate here in Pittsburgh? And what do they want you to know about the beautiful country where they were born? 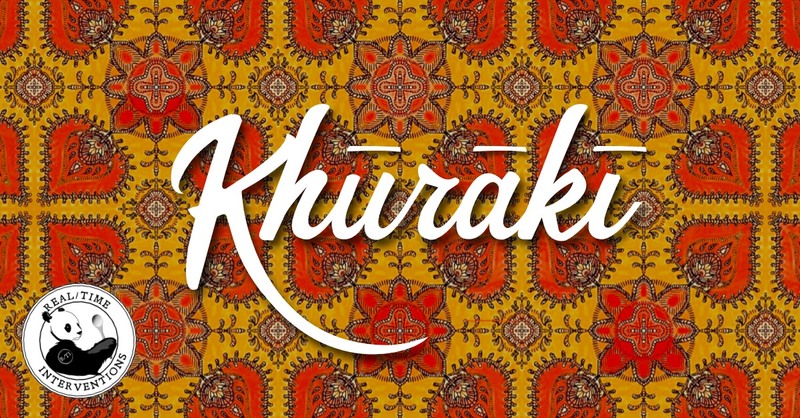 Performances will feature Afghan food prepared by the women, Afghan-inspired music (arranged and performed by graduate music students from Carnegie Mellon University) and moments of immersive cultural experience. For more background on the project, please visit our news section. Listen for us on WESA’s “The Confluence” on Monday, April 22, at 9 AM! In addition to the Office of Public Art, our extraordinary partners for this project include: Becky Johnson, Refugee Resettlement consultant; NAMS Community Assistance and Refugee Resettlement Department (closed Dec. 2018); the City of Pittsburgh’s Welcoming Pittsburgh initiative and the Department of City Planning; La Dorita Kitchen Share; the students of CMU School of Music’s Audience Engagement class, taught by Director of Music Enterpreneurship Monique Mead and Jennie Dorris; New Sun Rising; The Union Project; The Islamic Center of Pittsburgh; City of Asylum; Jen Saffron, owner/ operator of Sprezzatura Catering; Pixelab Studios; Point Park University Theater and Cinema Departments; Allegheny County Department of Human Services; Shehady’s Carpets and Rugs; Katy Dement; Karen Hart; Aldo’s Foodservice; UHaul on Washington; and the Afghan community of Pittsburgh. Event sponsored in part by Aldo’s Foodservice and U-Haul Moving & Storage @ Washington Blvd, where your first month of storage is free! U-Haul @ Washington Blvd We thank this U-Haul location for their ongoing support as a project sponsor! Remember, your first month of storage is free at this U-Haul location! We hope to see you at our most delicious RealTime Intervention yet. *Office of Public Art residencies are produced with support by the City of Pittsburgh, The Fine Foundation, The Buhl Foundation, The Pittsburgh Foundation, The Opportunity Fund, Pittsburgh Partners for the Arts, and the Our Town program of the National Endowment for the Arts, a federal agency. Additional funding support has been provided by a Community Development Block Grant and Pennsylvania Partners in the Arts.